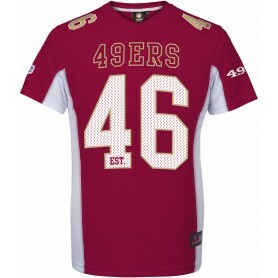 Gear up with San Francisco 49ers jerseys & merchandise available right here at Football America UK. We have large selection of 49ers jerseys of all your favorite players in men's, women's, and kids' sizes. Brust Größe: S-34/36", Mittel 38/40", Lar-42/44", XL, 46/48", 2XL-50/52"